Please make sure to scroll all the way down to see our Upcoming Sojourn Events! New Trips! Photographic Safari and Mindfulness Workshop in Kenya and Botswana, Africa. On August 15th, I am launching a new program, Happiness: The Art of Life Balance. 1)9 Facts About the US Total Solar Eclipse of August 21, 2017. One is that it is the first total solar eclipse in thirty-eight years. Another is that parts of fourteen States will go dark. 2) Everything you need to know about the 2017 Total Solar Eclipse. "For the first time in U.S. history, a total solar eclipse that crosses the country from coast to coast will be visible only in America. The rare celestial spectacle in August has been dubbed The Great American Eclipse." 3)Astronomers Without Borders Offers Giveaway Of Solar Viewing Glasses To Underserved Communities. This international nonprofit is giving away more than 100,000 eclipse-viewing glasses to youth centers, children’s hospitals, and other organizations. 4) #WorldElephantDay, August 12th. 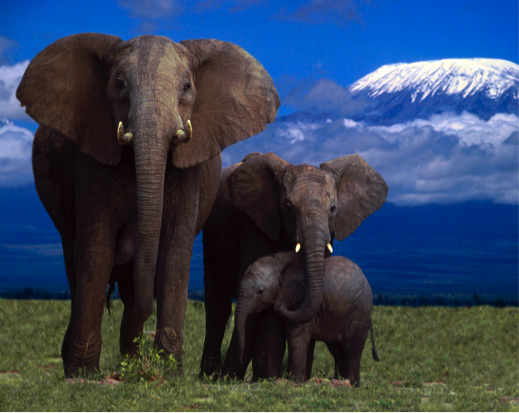 Goal: to bring the world together to help care for and protect elephants. 5) From the Greater Good Science Center: Gain Perspective on an Argument. Try taking a third-party point of view. 6) Do you know the ten common climate-damaging foods in the American diet? Beef is number one. Read about the other nine. 7) You have heard of postmortem. Now there is premortem and it can help you to manage stress. Watch TEDGlobal-London with Neuroscientist Daniel Levitin. 8) A new study shows that work-life balance, or rather work-life conflict, is a serious issue for both men and women. Great Plains Conservation’s Wild Studio was started by award-winning National Geographic filmmakers Beverly and Dereck Joubert. Whether you are a pro or an amateur, you will have the extraordinary experience of photographing lions, leopards, elephants, and buffalo. Best part is that there will always be a veteran wildlife photographer there to give you tips on getting the best shots. Leave with an amazing portfolio of your wildlife adventure. Africa has long been my favorite place in the world, and I look forward to sharing it with you. Please join the Wild Studio Team and myself on a uniquely curated safari that will tap into your true inner-photographer. I am committed to helping those who sit in the overwhelm, constantly feeling out of time, and always stressed. As a longtime TV producer, I have been there many times over. And have spent the last eleven years studying what to do about it. My promise is to get you out of the crazy and into the happy. To do that, I have put together a 90-day Program. It is designed to be an ongoing curriculum that can fit into anyone’s schedule and can be joined online anytime. You will learn to manage your day-to-day world in a way that is sustainable while experiencing both group and individual support. For a complimentary consultation, please contact me. By request (thank you, Akram) I am leading a Prayer of the Heart Silent Meditation Walk and Picnic 9:30 am – 12:30 pm at Will Rogers State Park. Hiking level: easy to moderate. Length: 2-mile loop. Camino de Santiago, Spain, September 26th – October 3rd, 2017.